You know those mediations where the clients walk into the room and say, “I was totally pig-headed. I don’t know how I could have been so rude.” Or do you know those clients who say they have been hard to work with and are ready to make things right? 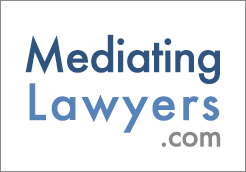 As a matter of fact, when a client is in mediation I think it is the exact opposite. In Kate Reed’s BBQ sauce mediation, after the client turns down the SEVENTEENTH iteration of a BBQ sauce recipe, he turns to Kate and says, “I’m not trying to be difficult.” This client really thought in that moment he was being completely rationale. The pre-frontal cortex: rational thought, understands relationships, past, present, and future. The amygdala: instinctual, fight or flight response. When someone is challenged by, oh let’s say, a savage bear running at them down Main St., then that person’s pre-frontal cortex goes off-line and their amygdala takes over. The brain says, “It’s survival time, baby! Kill or be killed!” Which is very useful when a bear is attacking you, but a little less useful in the mediation room. What can a mediator do when two parties feel challenged and they are only thinking with their amygdala? Well, according to Sarah Peyton, rational, logical thought doesn’t work yet. “Um, yes, excuse me, that savage bear only wants to threaten you. It won’t eat you. Please put the spear down and come back and sign this mediation agreement.” Instead, a mediator must get people back into their pre-frontal cortex. This is where people can think logically. A couple suggestions: take a walk, drink some tea, doodle, look out the window and take deep breaths. These help your body realize subconsciously that it is not under attack and it allows you to make logical decisions again. How does Kate do this with the BBQ mediation? The inventor of the BBQ sauce was clearly thinking irrationally. Something was wrong, but without his pre-frontal cortex engaged he couldn’t form the logical thought necessary to express what was wrong and ultimately settle the mediation. So Kate has him picture what the BBQ sauce means to him: childhood, innocence, family, rope swings, BBQing with his dad, and peace. This simple visualization allows her client to express what was wrong with the BBQ sauce: it didn’t feel like family. By changing the label to represent the image he had of BBQ sauce the client was able to settle (well, except it is a TV show, so they did have to throw in a little more drama). Helping people to express the fond memories of what used to be, or visualize a happy future that they hope to achieve, can help them move into the logical thought it takes to settle a mediation. That is, unless you really are mediating with a savage bear. In which case I would tell Kate to spear the bear with those 7? Christian Loboutin heels and run, run, run as fast as she can.